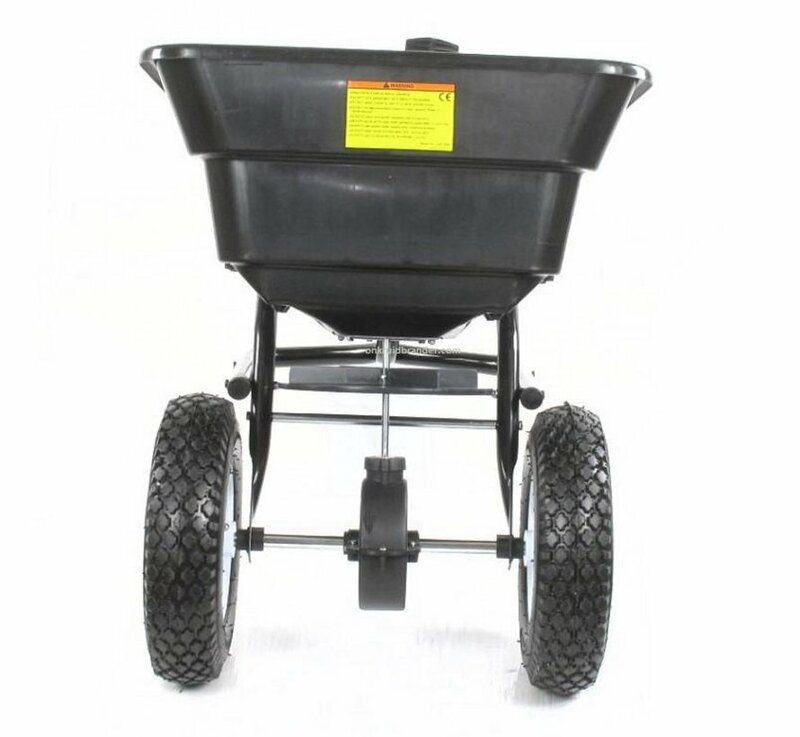 trailed spreader for fertilizer and road salt 36 kg. 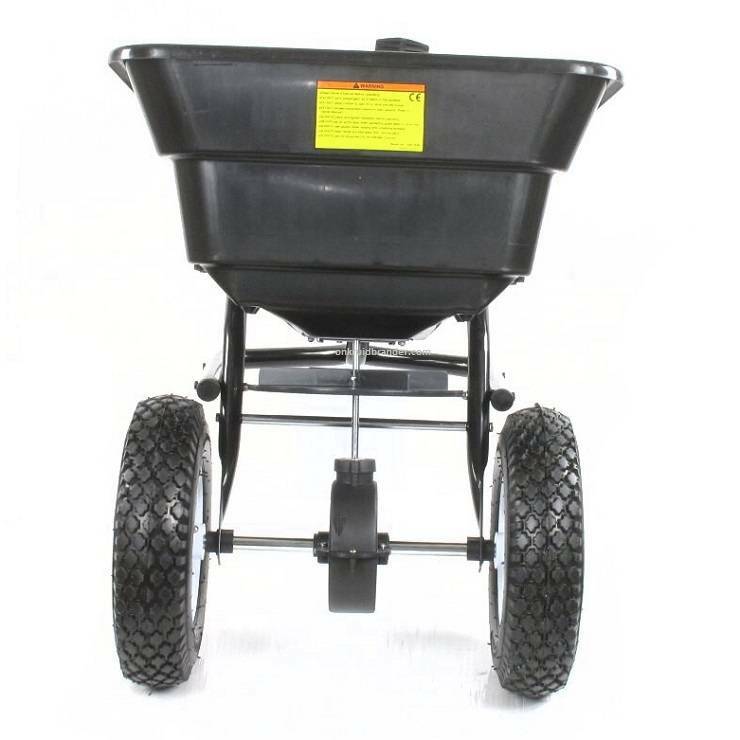 Turfmaster trailed spreader for fertilizer and road salt 36 kg. 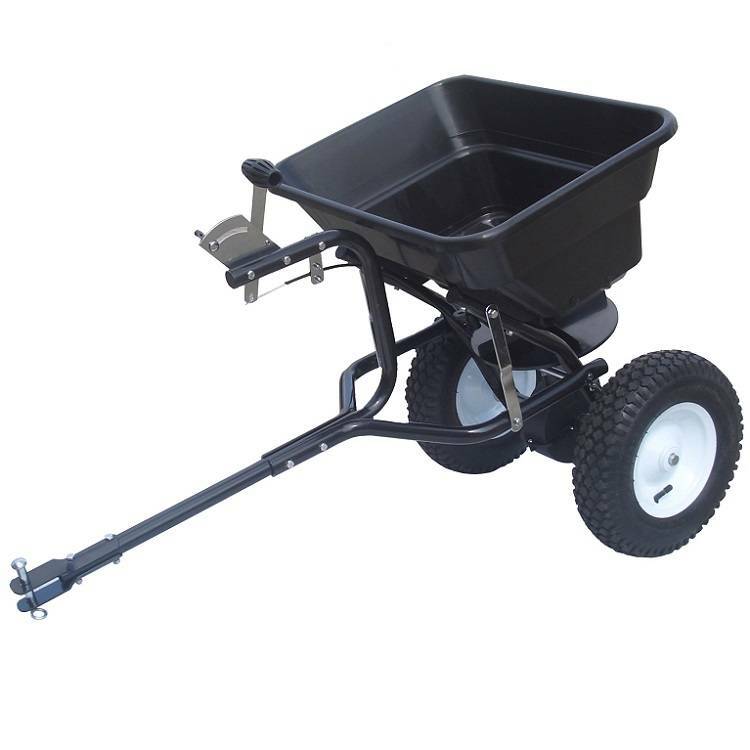 Turfmaster drawn spreader for fertilizer and road salt 36 kg. 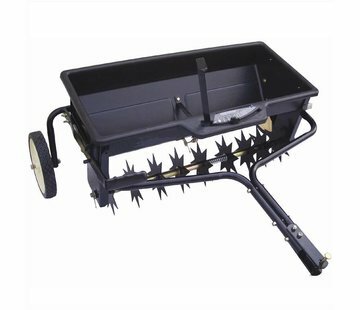 This Turfmaster trailed gritter can be loaded with a maximum load of approx. 36 kg. spreading. Think of lime, fertilizer, manure but also salt. For example, this gritter is ideal for multiple purposes. 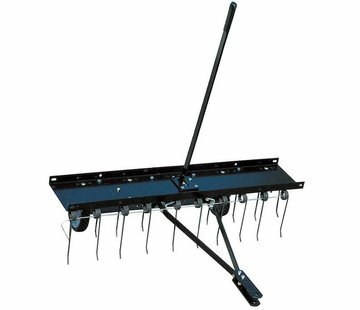 The spread rate is infinitely adjustable via the lever mounted at an ergonomic height. Also driving without straw is possible. 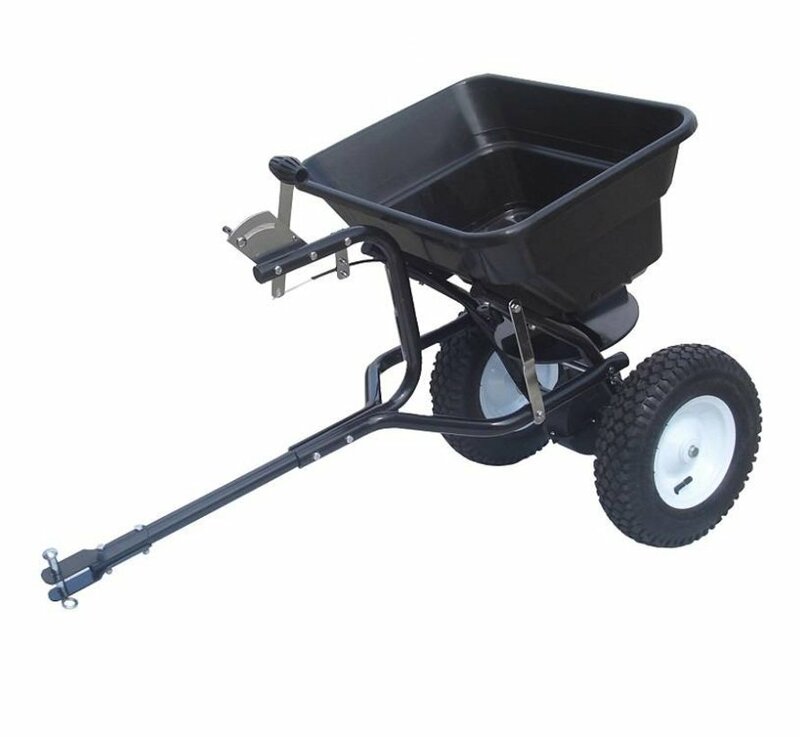 Because of the air wheels, the spreader drives calmly and stably, making it comfortable to work. 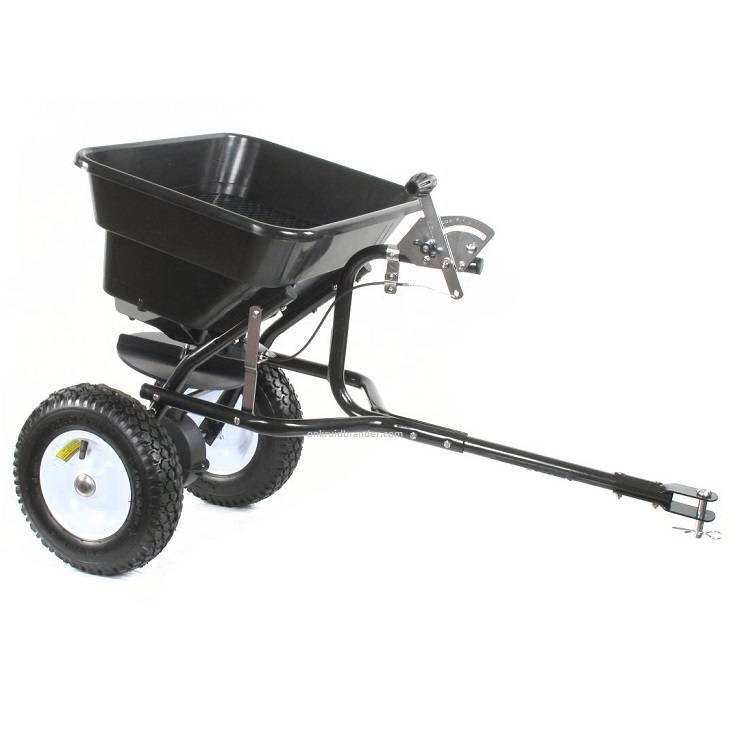 Simply and evenly spreading makes it very easy with this spreader! 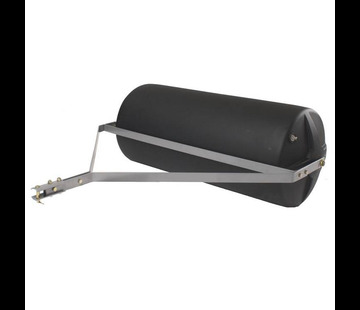 - Max load weight: Approximately 36 kg. Spreader carriage comes in a box and needs to be assembled. 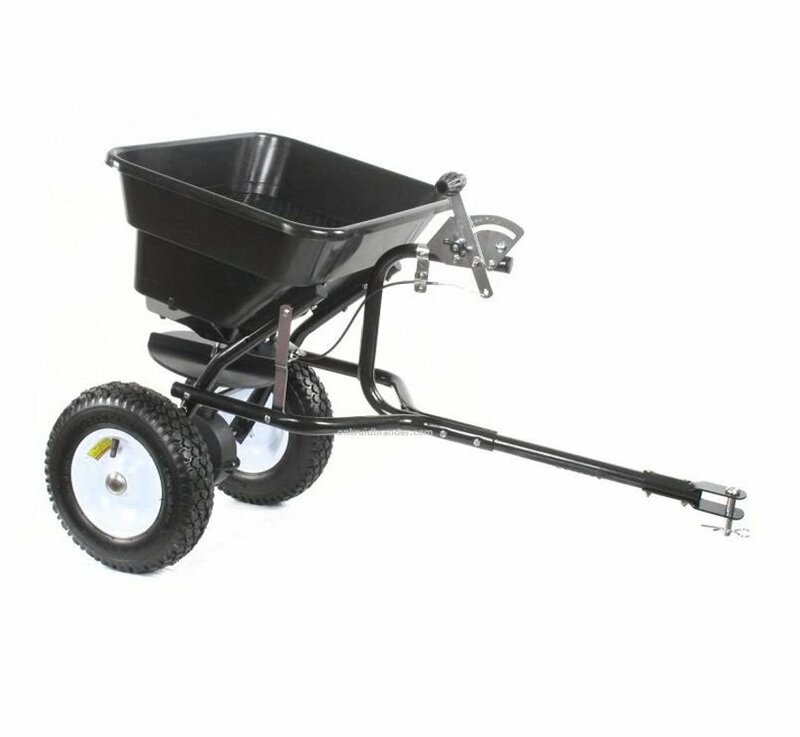 Create your own review for trailed spreader for fertilizer and road salt 36 kg.